We can cater for outdoor wedding ceremonies and wedding receptions of up to 120 guests in our riverfront venue. 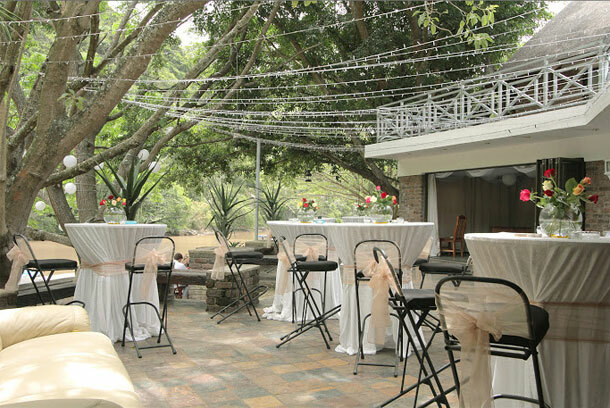 On site catering and bar, scenic photo backdrops and on site accommodation in Cintsa, make this a sought after country style wedding venue in the Wild Coast. And if you’re feeling a little adventurous and would like to do something out of the box our Adventure Village on site, offers a wide range of outdoor adventure activities which include our newly launched Zip lines, AmaZing Zing. The AmaZing Zing is a nine zipline tour over a kloof within our game reserve, accompanied by two adventure guides you will need to set aside two exhilarating hours to take part in this activity. To book this venue telephone the team on +27 (0)43 734-3055. 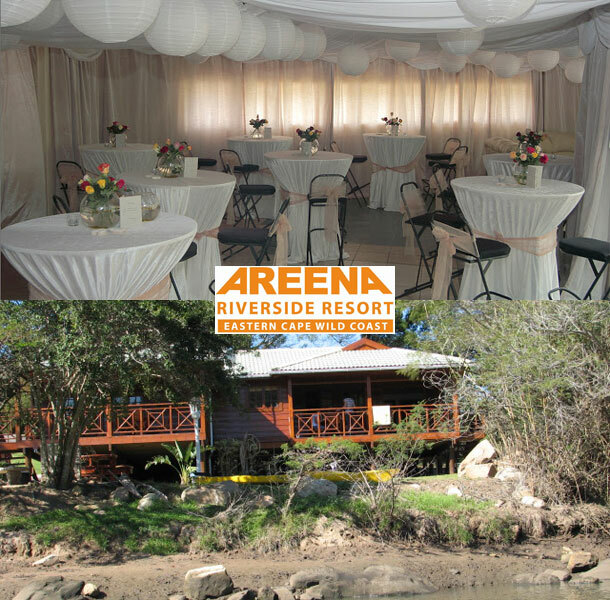 Alternatively visit Areena Riverside Resort for further details or to send an enquiry.